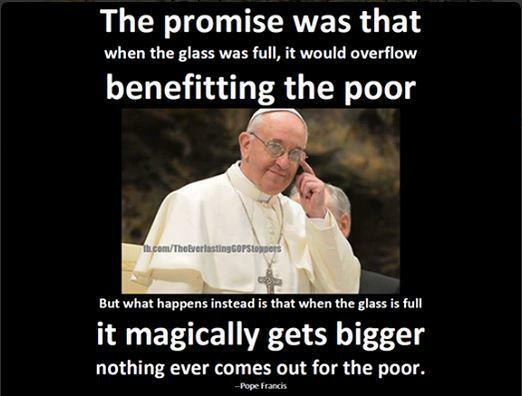 The Pope is saying is that “Trickle Down” economics doesn’t work. There is no trickle down. The poor and hungry deserve justice. 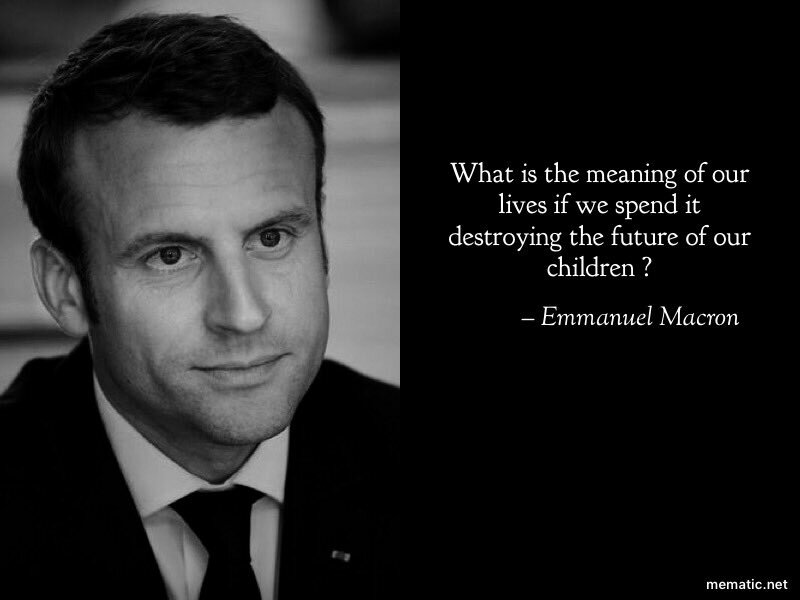 That doesn’t mean charity and the scraps off our groaning tables. And it doesn’t mean sympathy and our old clothes that are no longer in style. What God wants, and what the least among us need is for us to love each other as we have first been loved. When we love each other as we claim to love God there will be no need for empty promises. We are all one global family. We just need to act like it. This entry was posted in Hunger & Poverty, News & Views, Quotes, Spirituality & Religious Writings and tagged charity, global family, God, hungry, justice, love, old clothes, poor, Pope Francis, poverty, promise, scraps, sympathy, trickle down economics on June 9, 2015 by Ray Buchanan.